While everyone enjoys summer and gorgeous weather that comes with it, it can cause your home some serious harm if you let it. On top of making your home feel like a bit of a sauna, it can also cause important features of your home’s interior, such as furniture, artwork and flooring, to fade. In this article, we’ll be looking at ways to combat this problem, so you can enjoy these cherished features for years and years to come. Why does the sun damage our furniture? While we think of damage from the sun’s rays as something singular, there are in fact three main causes of damage in the light spectrum: UVA and UVB rays, heat radiation and visible light. As heat and light are things that we need in our home, unfortunately, we can’t avoid avoid their harmful effects altogether. As such, it is UV damage that we will want to focus on putting a stop to. Many homeowners believe that glass alone keeps the sun’s harmful effects at bay but, sadly, this isn’t the case. A clear glass window actually lets in up to 70% of the sun’s UV rays, meaning that your expensive furniture and treasured artwork will still be taking the brunt of the hit. The best and most obvious solution to saving your personal possessions is to invest in some blinds. Sometimes known as solar shades, UV window blinds are made from fabrics that filter and disperse aggressive light, making them a useful option. However, solid fabric blinds such as Roman or roller blinds will block up to 98% of UV rays, making them an excellent and stylish choice to protect your furniture. However, to ensure that every possible part of a room is protected, opting for made-to-measure blinds could be the best option. If having your blinds drawn all the time during the summer months sounds a little suffocating, then window film is a great way to supplement. Some window film can even block up to 99.9% of the sun’s harmful rays! Newer window films are less reflective than they used to be as well as being optically clear, making them more attractive for use in the home. To minimise damage to your possessions, the best thing to do, as you might expect, is to move them as far away as possible from the window itself. While moving them away from the rays altogether would be preferable, this will certainly help. Some wooden furniture will become darker when positioned in direct sunlight, for example maple and cherry. Pieces crafted from walnut, on the other hand, will become lighter. If your wooden tables have precious ornaments or other objects on them, remember to reposition them regularly to avoid marks developing on the surface of the wood. Sunstopper Blinds supplies high quality blinds at affordable prices throughout Ware, Hertford, Welwyn Garden City and the wider Hertfordshire area. Our range of products includes wooden blinds, Luxaflex blinds, vertical blinds, canopies and awnings, to name just a few, and our expert fitters ensure that your blinds are installed perfectly into your home with minimal fuss. For more information on any of our products, contact one of our knowledgeable advisors today. We’ll be happy to help with any enquiries you may have. 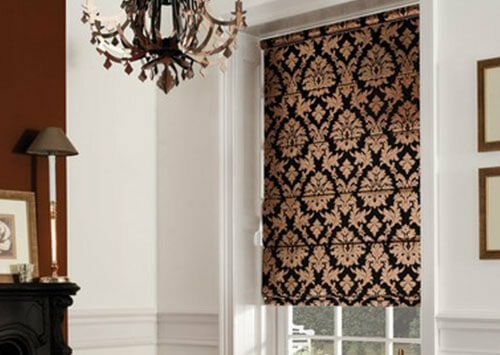 « What are the Best Blinds for Your Kitchen?